The masterful debut of Television! 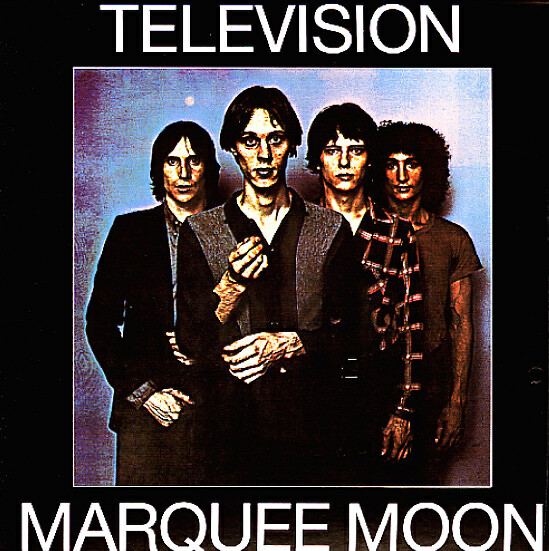 Marquee Moon is indisputably one of best records to come out of late 70s NYC . It's truly a singular achievement – one of the few records that seems to be on every rock literati's list of the all-time-bests – and actually deserves every bit of praise it gets! The guitars and vocals are bristling with all the post-punk energy of the lower east side in the 70s – but stands out for the off kilter melodicism and the extraordinary guitar heroism, courtesy Tom Verlaine. A genuine classic! Includes "See No Evil", "Venus", "Friction", "Marquee Moon", "Elevation", "Guiding Light", "Prove It" and "Torn Curtain". Limited 2LP version features bonus tracks – "See No Evil (alt version)", "Friction (alt version)", "Marquee Moon (alt version)", "Untitled Instrumental", and the original 45 version of "Little Johnny Jewel (parts 1 & 2)". © 1996-2019, Dusty Groove, Inc.